The dog at the center of a heartbreaking abuse story received a small token of justice last week, when the garbageman who killed him was fired. 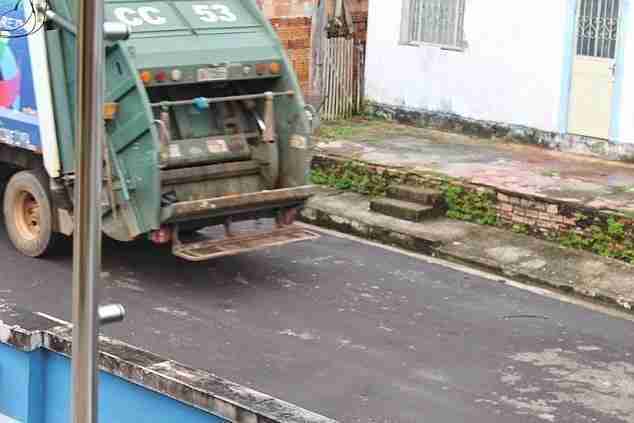 Jadson James Franca was driving his garbage truck in Presidente Figueiredo, Brazil, late last month when, according to bystanders, he ran the truck up onto the pavement to hit the gentle dog. 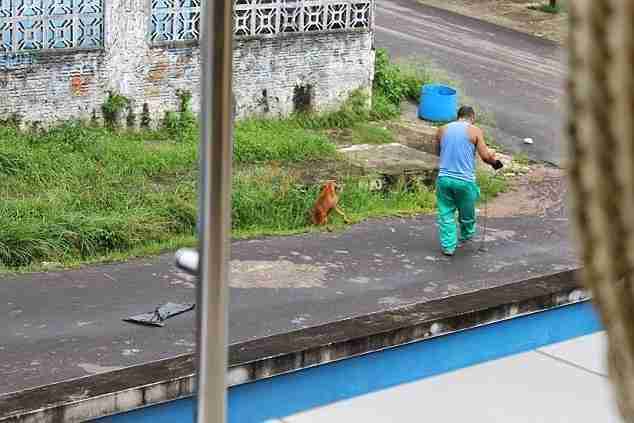 Pictures taken of the incident show the dog collapsed on the side of the road in obvious pain. But that wasn't enough. While his companions laughed, Franca wrapped a chain around the dog's neck and dragged his broken body over the rough pavement to the back of his truck. One arresting picture shows the terrified pup lying on the pavement, his legs apparently broken beneath him as Franca pulls on his chain. Franca then threw the injured animal into the trash compactor before driving away. 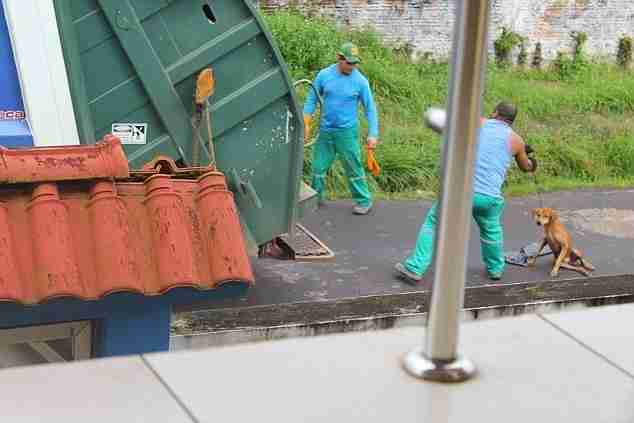 The photos sparked universal outrage after spreading online, causing police to indict the garbageman. He has already been fired, and his company, ViaLimpa, was fined. Franca reportedly told police he was doing the dog a favor because he was badly injured and needed to be put out of his misery. 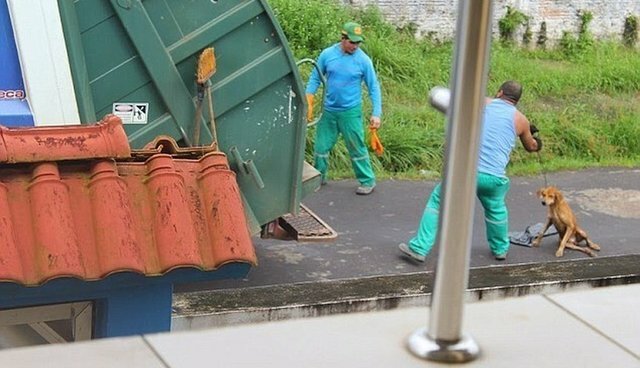 Unfortunately, the dog survived the trip to the dump but passed away a few hours later from serious injuries, Brazilian paper A Critica reported. And while Franca's punishment might bring a degree of justice to this poor dog's memory, Mayor Neilson Cross had some harsh words for the people who photographed the incident as well. 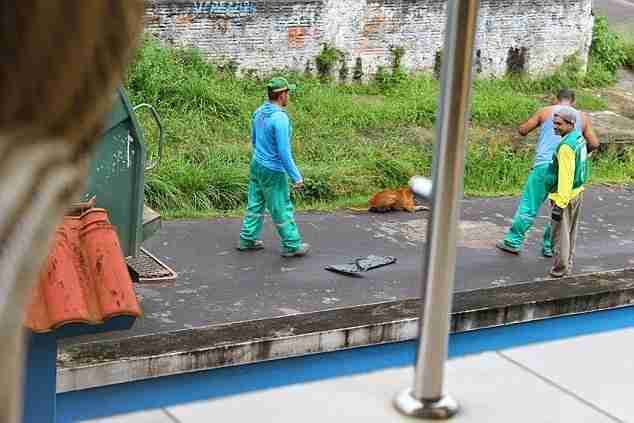 "People were more concerned about recording than saving the animals," he told A Critica. "This is absurd."